Heartthrob Aaron Taylor-Johnson, plays Ray Marcus in the thriller, Nocturnal Animals. While the 26 year old won a Golden Globe award for his dark performance, he did not get an Oscar nomination. 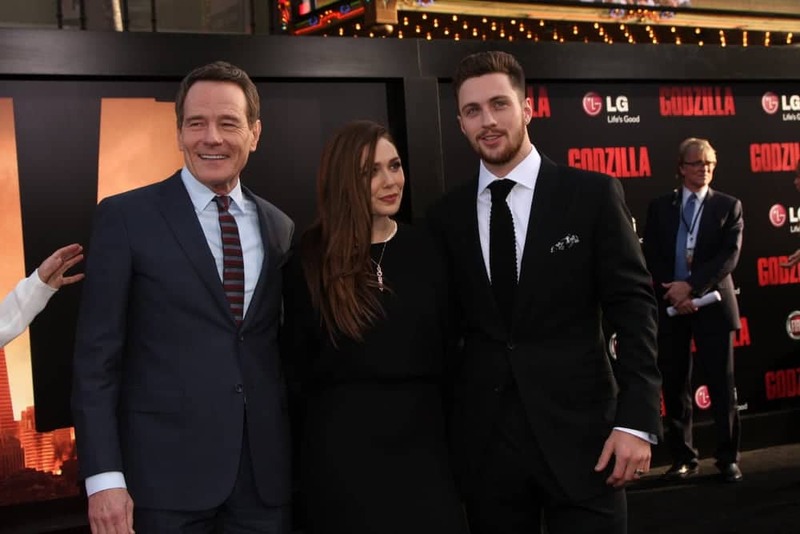 In this photo, he is standing next to Bryan Cranston and Elizabeth Olsen at the Godzilla Los Angeles Premiere in Hollywood, CA.